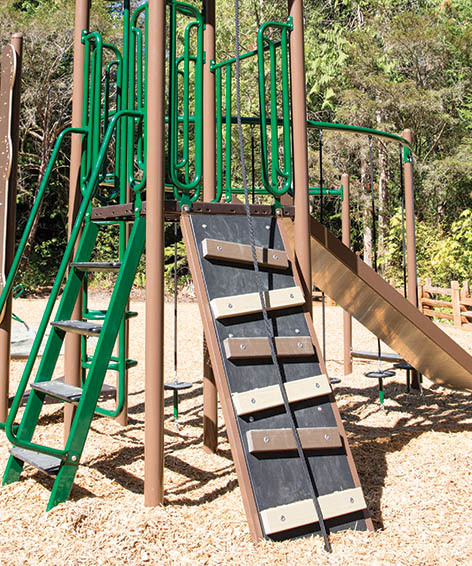 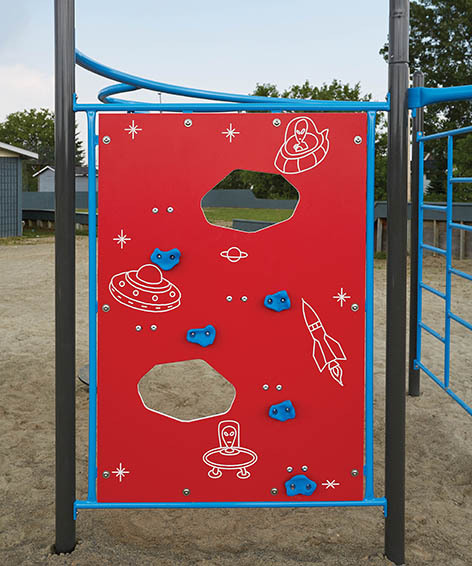 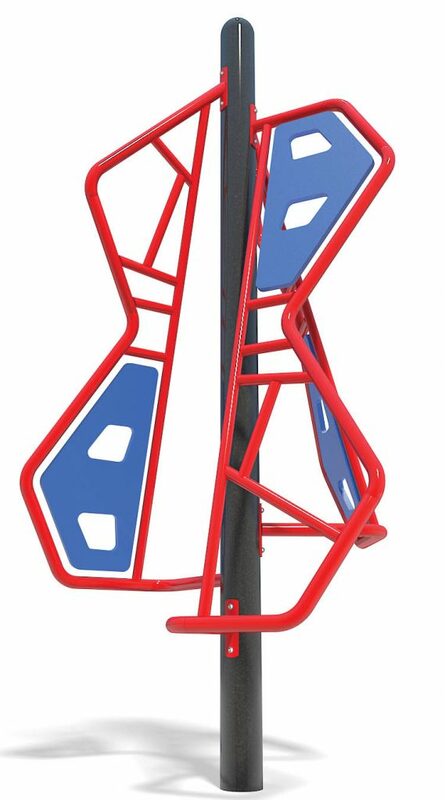 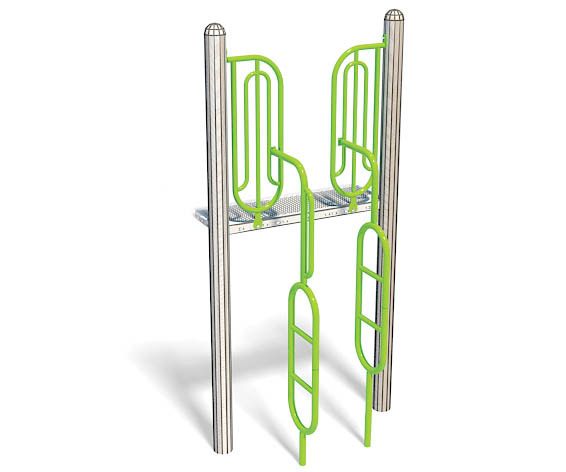 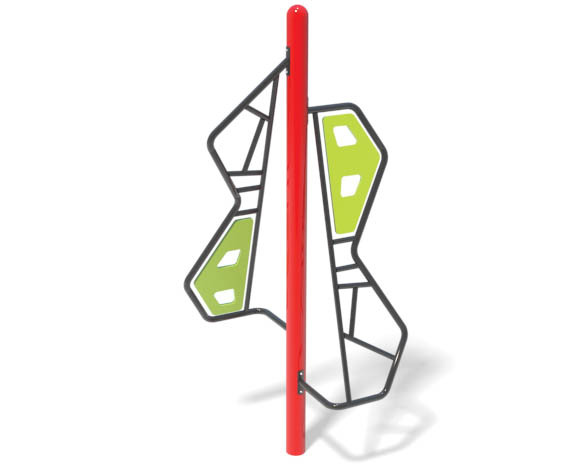 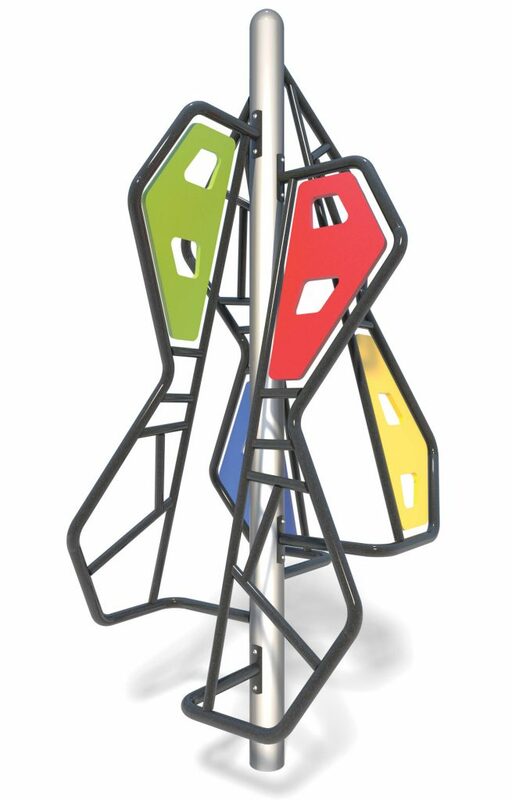 A versatile and challenging climbing wall that children can traverse on both sides. 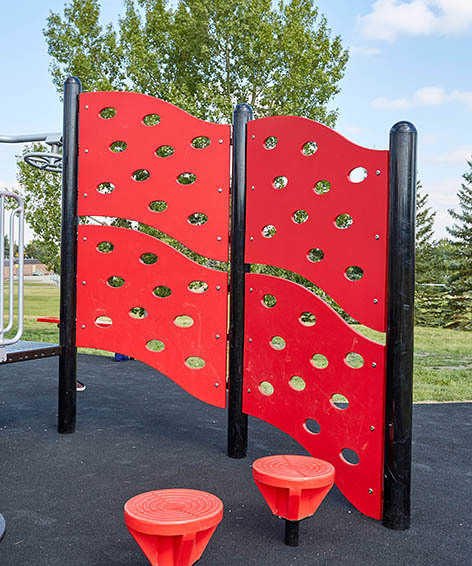 A single Double Wave Wall includes only two panels. 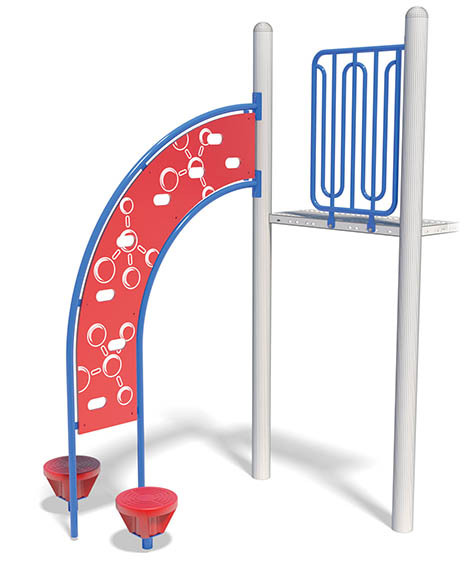 The above play event has two Double Wave Walls attached together. 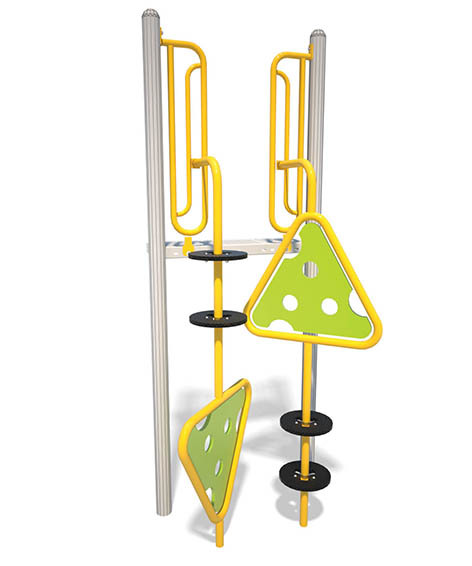 Climb to the top of this chain reaction molecule climber.